The Paper Cutters: Little Red Wagon Challenge #379- How Tweet It Is! Little Red Wagon Challenge #379- How Tweet It Is! Hey there! Here we are with the first day of February! Can you believe it? Our challenge this week is called "How Tweet It Is!". That means we just need to see a bird on your project. Should be fun huh?! 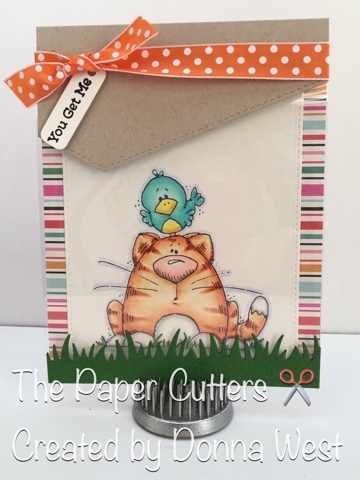 For my card I used a stamp from Whipper Snapper Designs called Cat and Bird. Look at those faces!!! They just crack me up! I used some clear acetate and craft cardstock. I colored them up with my Prismacolor pencils this time and used Gamsol for blending. I will be featuring this cute stamp in my class this month too. So come on over and join us this week for a really fun theme. Also check out what all the Girlfriends have done too. They are some very creative ladies. Here is a link to the Little Red Wagon blog. The top picks will be posted next Tuesday. What a fun card design! Love it! And that little cat and bird image is fantastic! It's so, so sweet! Ack! This is way cute! I love the image and the design...actually I love all of it! So fantastic! Love this Donna! I am admiring your use of the Prismas, still working on my pencil skills, but you, Girlfriend, have it down! This is too cool. I like the way you used acetate and can see the image on both the front and inside. It is such a cute image. Hugs. 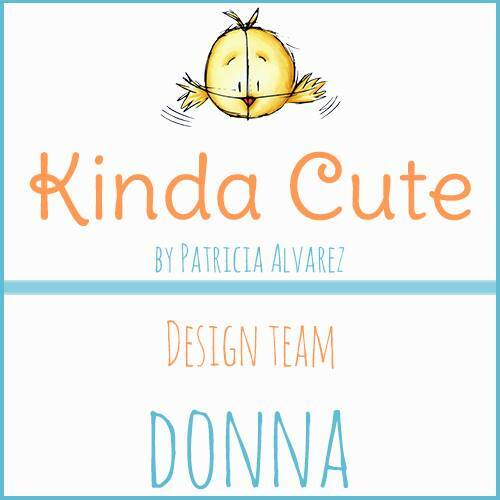 What an adorable card Donna! Love that image of the bird and kitty!